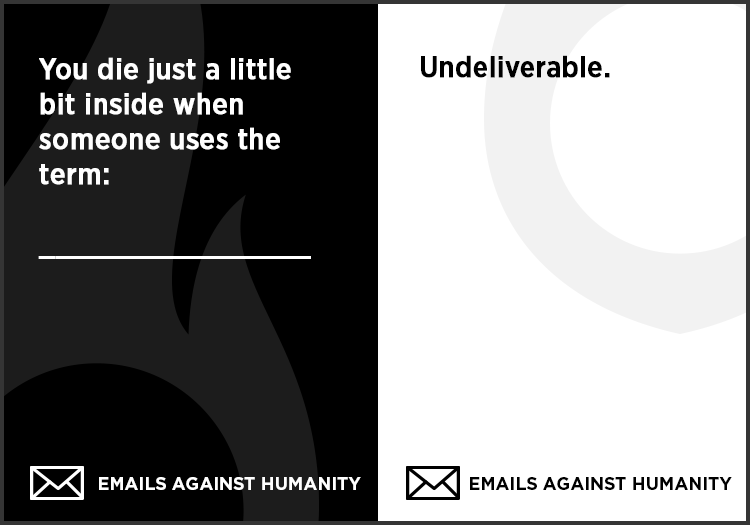 Some of us at the office have a penchant for Cards Against Humanity (CAH), so when the challenge was proposed by Len Shneyder to create something like it for email, I felt like Barney in the famous sitcom How I Met Your Mother, (“Challenge accepted!”), and I couldn’t resist. 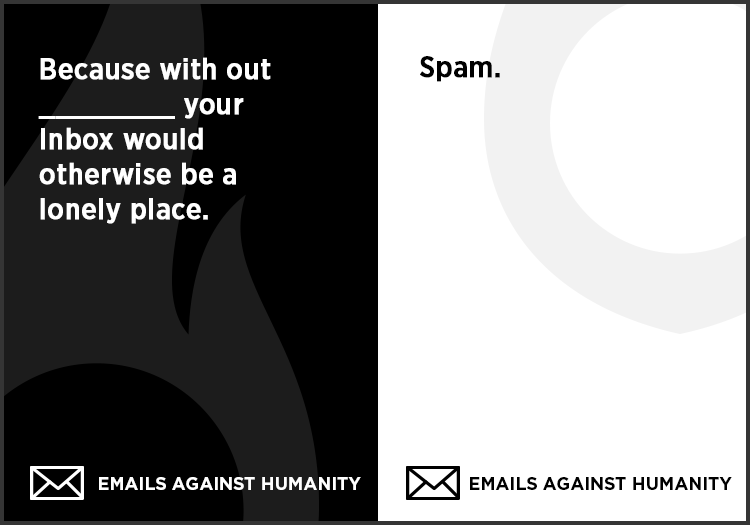 If you’re not familiar with CAH, it’s equivalent to the adult version of Apples to Apples. 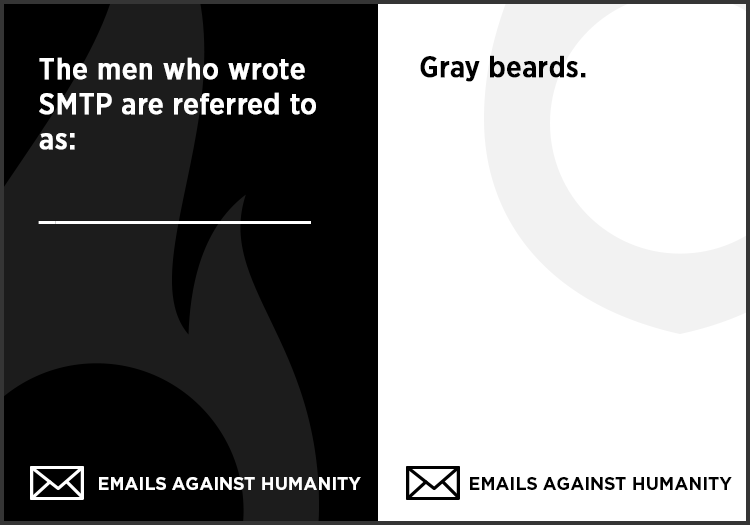 In simple terms, someone known as the Card Czar reads aloud a black card, then everyone else answers the question or fills in the blank by tossing in a white card face down to the Card Czar. 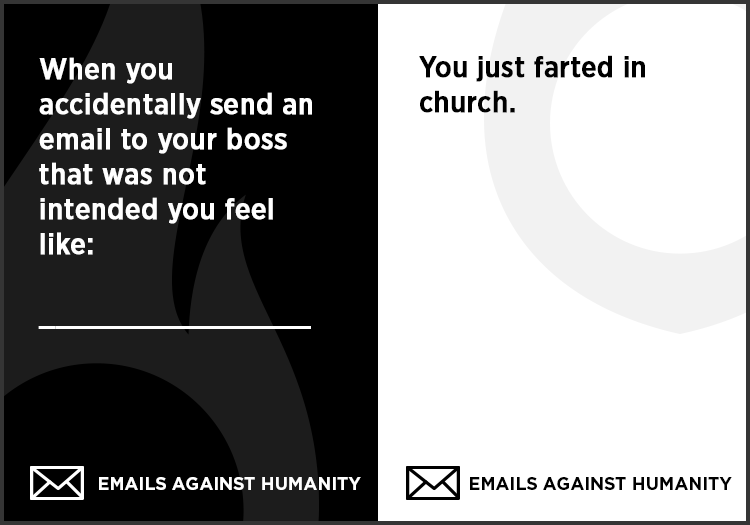 The Card Czar picks the funniest card and whoever submitted it gets a point. 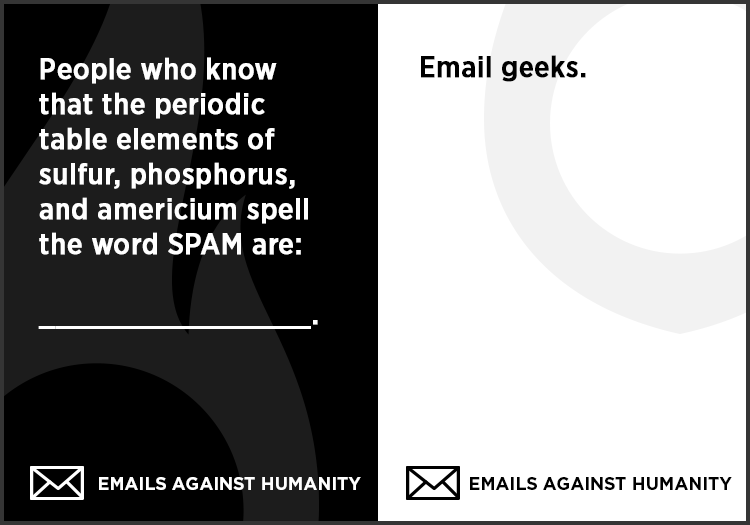 We wrote these for anyone who is an email marketer, developer, or who uses email for business. 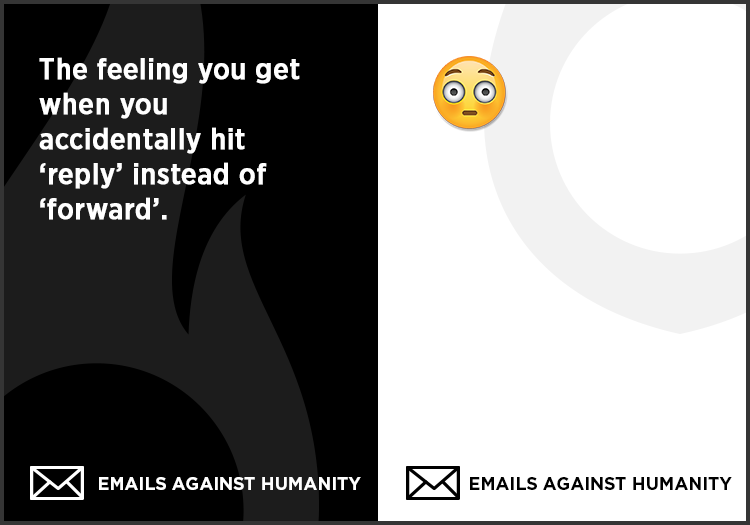 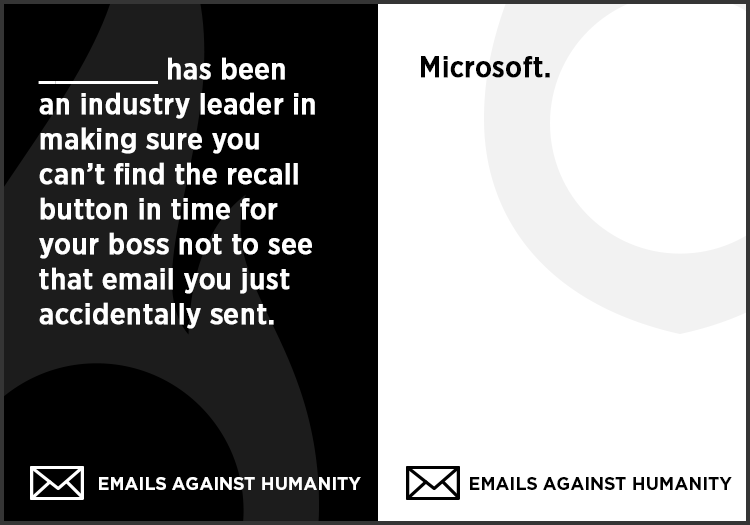 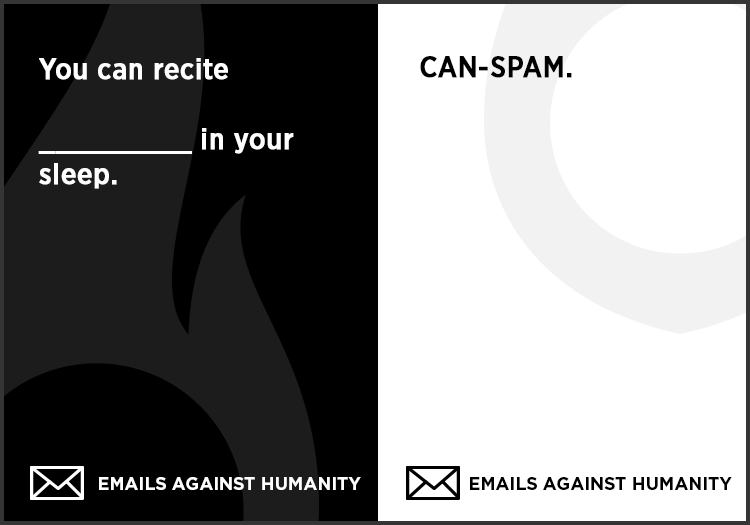 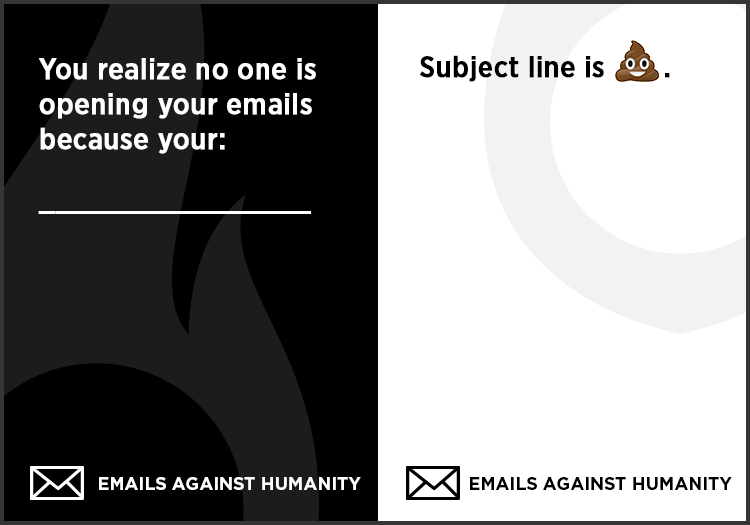 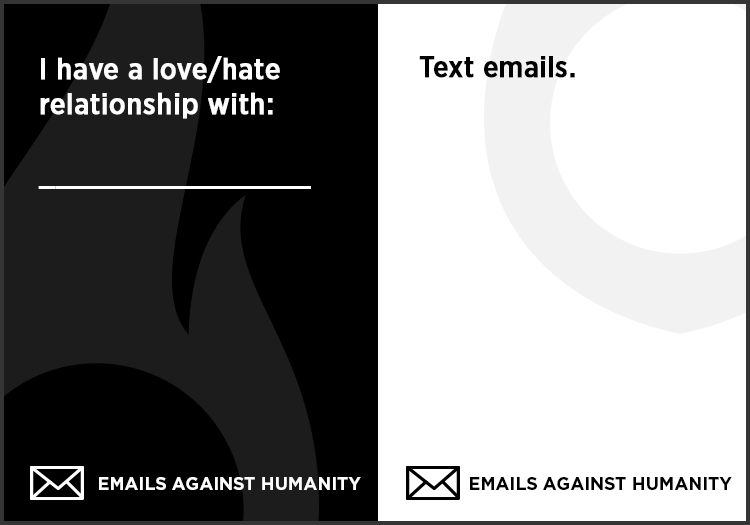 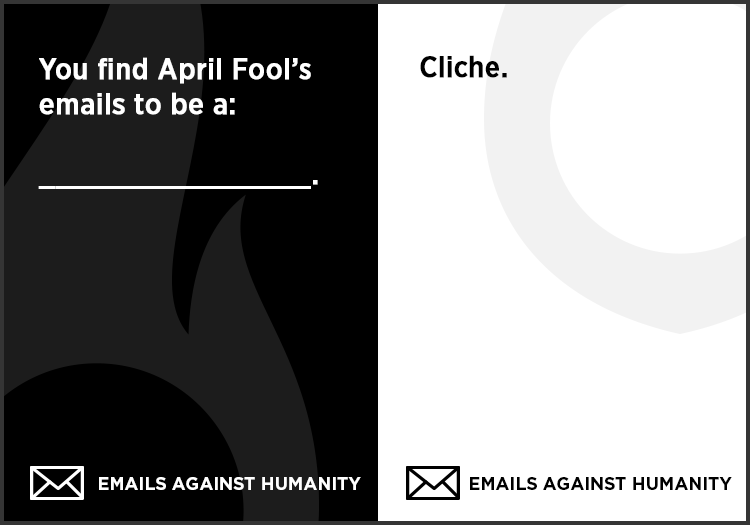 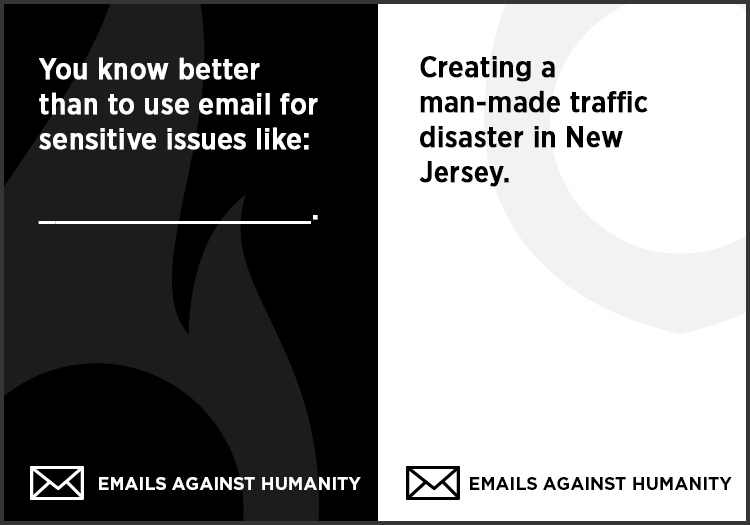 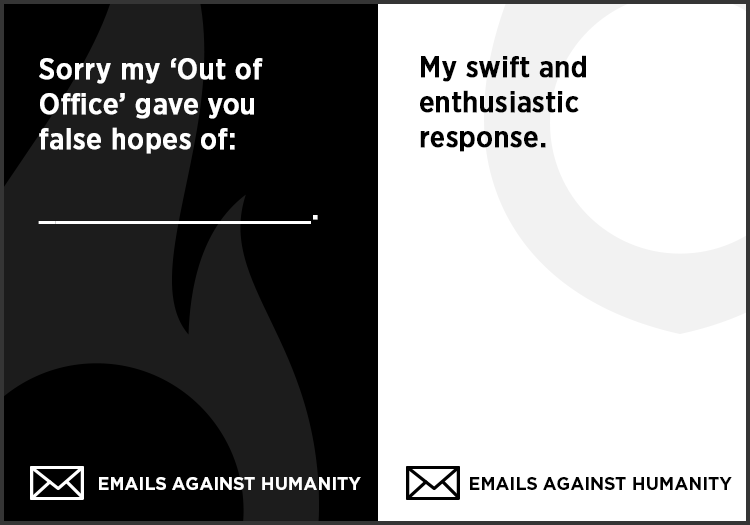 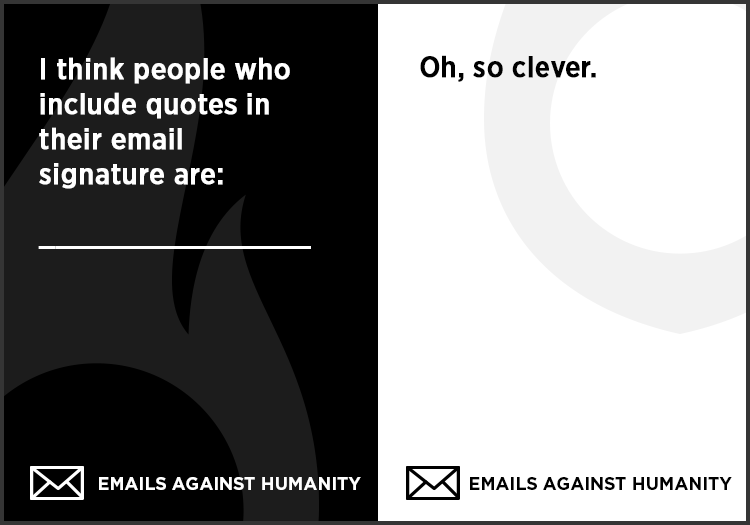 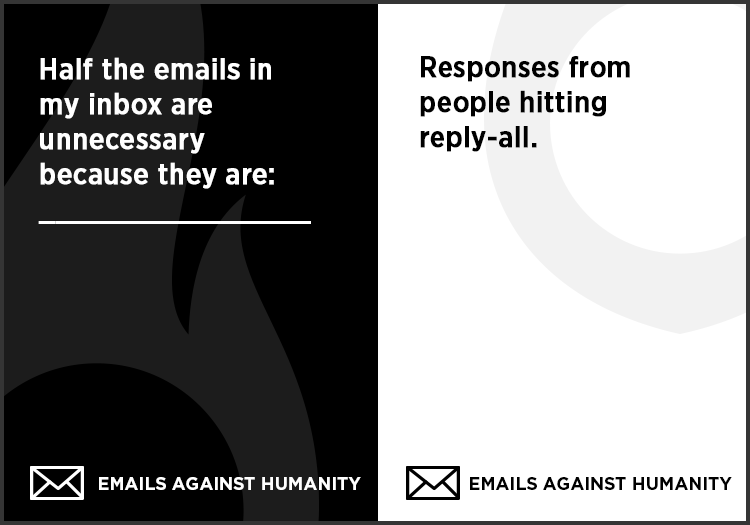 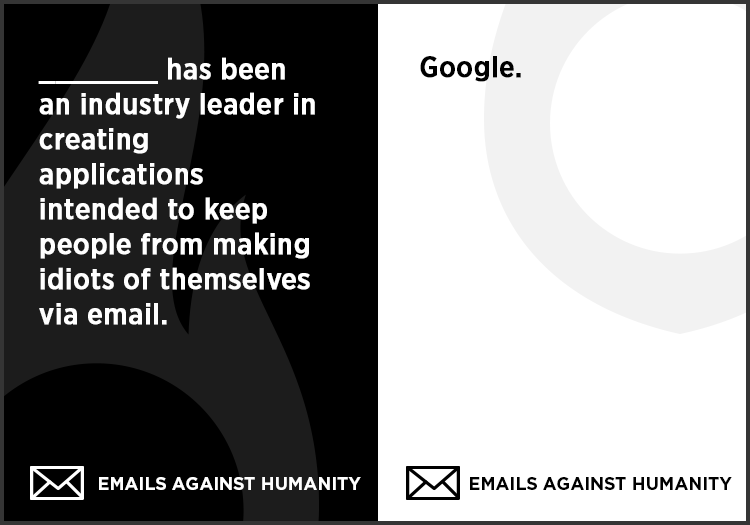 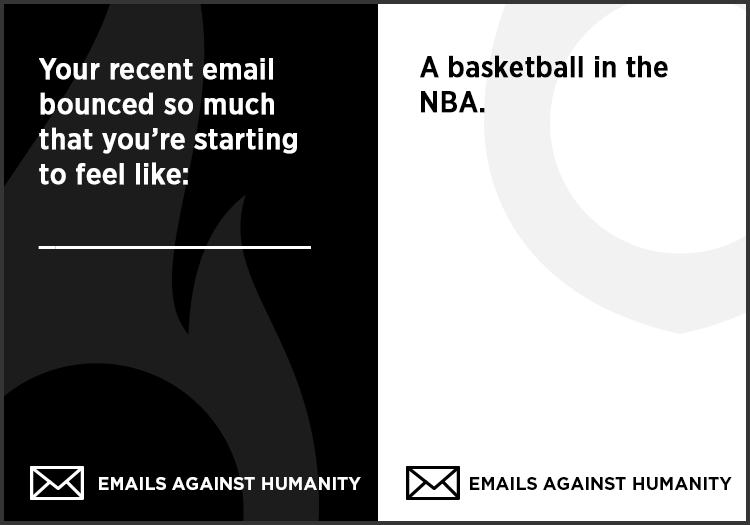 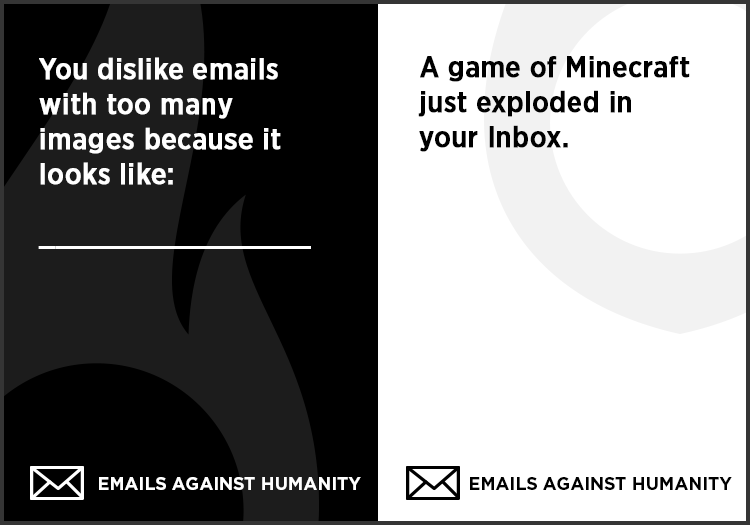 Here’s our version of Emails Against Humanity – enjoy! 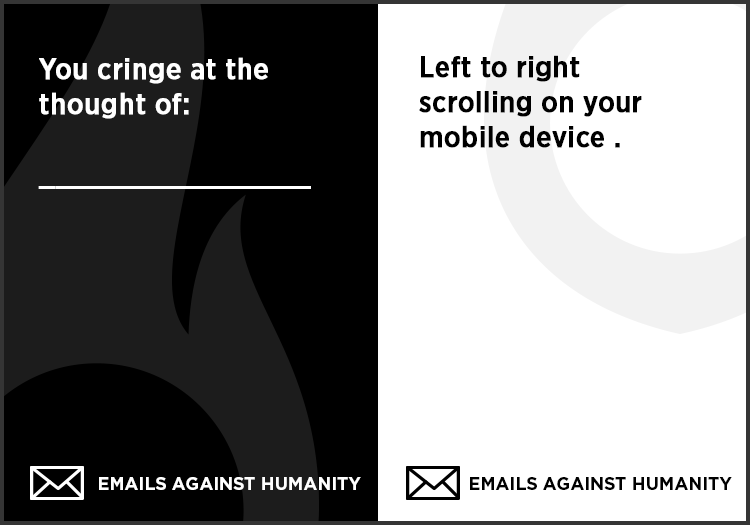 And don’t forget to tell us in the comments below which one is your favorite.